It looked all good, but when I started to look for the serial number, I experienced some difficulties. The serial number is normally somewhere on the movement, but all I could find was the caliber number (1040) of the movement. I looked into Time Capsule, one of the books by Imai written on Speedmasters and on page 144 I noticed that normally, the serial number is engraved in the rotor. 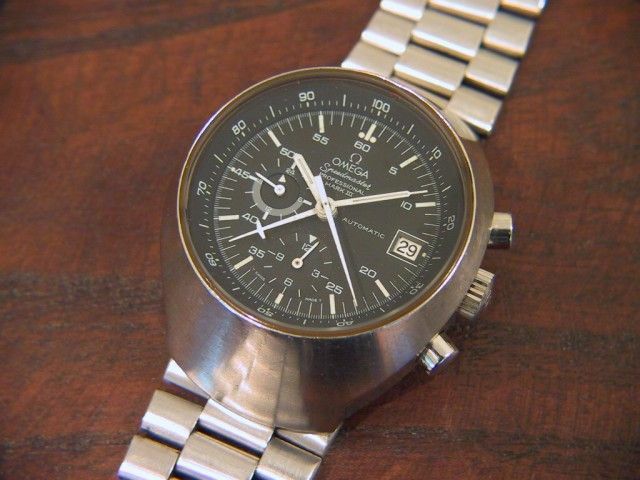 The rotor of my collegue’s watch had a number engraved below Omega and ‘Swiss’, but this was not the number I expected. It started with an R followed by a a few numbers. Now, I suspect that the R stands for ‘Replacement’ and the number is some sort of serial number for replacement parts, but I am not sure. It isn’t the part number of the rotor, because I looked at the parts list of caliber 1040 on http://www.old-omegas.com and it had a different number than the one on the rotor. Is there anyone out there that can help us out here? 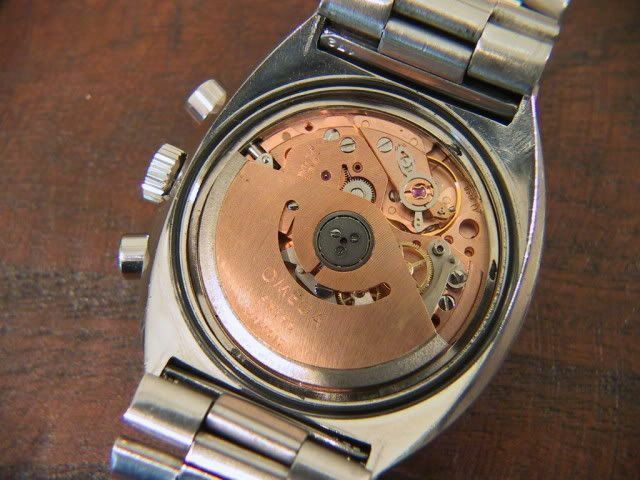 The watch is definately original and so is the movement, but the rotor probably got replaced and that left the owner with a serial number-less watch. The following pictures are taken from Eric Katoso’s website and are NOT the picture of the actual watch I am talking about. As you can see on the last picture, the serial number (quite vague here) is engraved on the rotor.